Dry ice is an incredibly useful tool that can be used for everything from cleaning to making very unique cocktails for your holiday parties. Dry ice is an incredibly useful tool that can be used for everything from cleaning to making very unique cocktails for your holiday parties. Before you purchase dry ice and use it for anything around the house, it’s important to understand how it works and how to safely handle it. How Does Dry Ice Work? Dry ice is the frozen form of carbon dioxide. Instead of turning from a gas, into a liquid, and then into a solid, carbon dioxide goes straight to a solid form. As a result, when it melts it also turns right into gas. 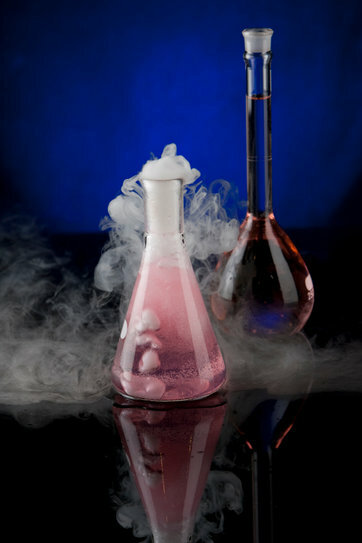 Dry ice is extremely cold and has a surface temperature of -109.3 degrees. Dry ice is so popular because it’s easy to freeze and relatively easy to handle, as long as you are using the right techniques. How Can You Safely Handle Dry Ice? Store dry ice in an insulated container that is not completely airtight. An airtight container is at risk of exploding as a result of the sublimation. Never store dry ice is a refrigerator or freezer. Use dry ice in a well-ventilated area, as carbon dioxide in the air can cause headaches, shortness of breath, or CO2 poisoning. Handle dry ice with thick, heavy gloves that can sufficiently protect your hands from the cold. What Happens if You Don’t Handle Dry Ice Properly? If you make the mistake of not properly handling dry ice, there can be some serious consequences. Touching dry ice without protection actually feels similar to touching a hot pan or pot without using an oven mitt to protect yourself. If you pull away immediately, you will not be injured besides a little sting. If you linger for too long, you will sustain a serious burn. Dry ice freezes the skin cells it comes into contact with, so it should never be touched with bare hands or ingested. When consuming any food made with dry ice, make sure that it is fully sublimated. This entry was posted on Friday, December 8th, 2017	at 2:11 PM	and is filed under Dry Ice Safety, Many Uses of Dry Ice	. You can follow any responses to this entry through the RSS 2.0	feed. Both comments and pings are currently closed.